The home shopping process continues to move more and more online and, with options such as Zillow Instant Offers hitting the market, it can sometimes be difficult for real estate agents to prove their value to prospective clients. Connections, experience and past successes help. But positioning yourself as a market expert — and backing it up with data — can also be a differentiator. That’s part of the reason Carolina Multiple Listing Service, Inc., provides their members with InfoSparks and FastStats, two products provided by ShowingTime’s MarketStats division. “The value proposition of being a realtor, that helps them demonstrate their value to the consumer when they have quality data and they can pull all types of reports to educate the consumer,” Carolina MLS Vice President of Marketing and Communications Kim McMillan said. With InfoSparks, users can compare up to four geographies by using a variety of housing variables, market metrics and time calculators; analyze data by county, city or postal code; and create branded charts. FastStats allows users to create clean and visual market reports in seconds via interactive maps, and also print and distribute branded reports that can be shared with clients. 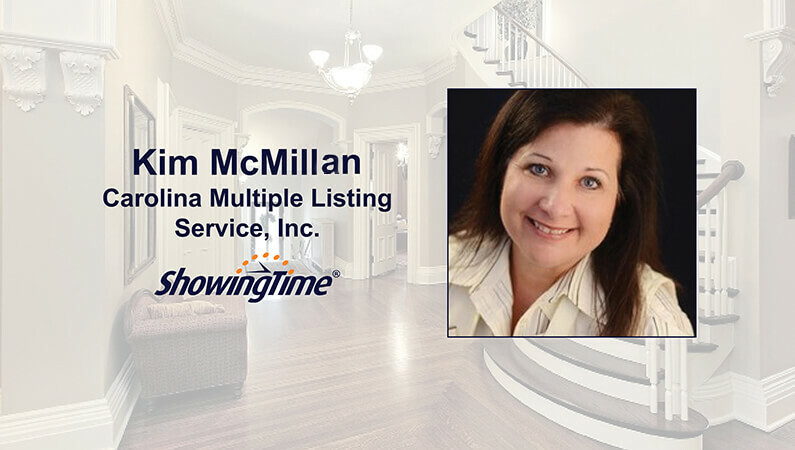 “I think it gives them a huge source of confidence to be able to go in and have quality data and real-time, up-to-date (data),” McMillan said of how agents benefit from MarketStats reports. “It’s a huge tool for our members, as well as the consumer. Carolina MLS works hard to keep its reputation pristine by working closely with the media, which is another MLS benefit to subscribing to MarketStats. McMillan said Carolina MLS releases the previous month’s data on the 10th of every month to local media, which helps position the MLS and its members as market experts. “We want to be known as the best data you can get in the market, for the quality and the integrity of the data,” she said. Before using MarketStats by ShowingTime, Carolina MLS mainly processed data and reports in house, McMillan said. The switch has not only increased Carolina MLS’s efficiency and productivity, but also allowed them to provide their members with the most up-to-date data, tools and training. “We’re able to adapt to the market and the needs of our members because of the tool,” McMillan said. “Working with ShowingTime, you can get reports customized. The staff can help you produce the reports that you need to keep your subscriber satisfaction high.